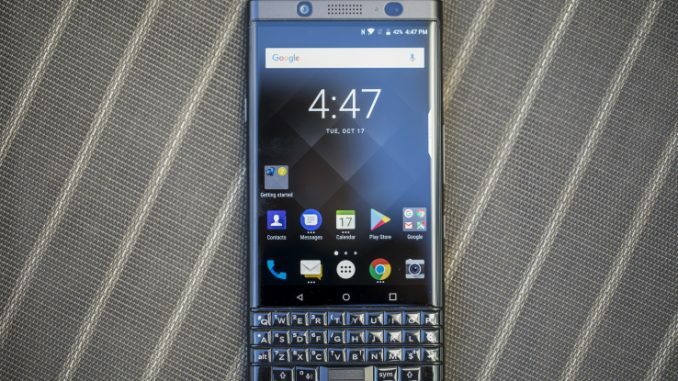 BlackBerry’s most interesting phone in years – if not an entire decade – is the KEYone, an Android device with a classic BlackBerry hardware keyboard that finally answers the needs of truly dedicated thumb typists with a modern mobile OS. Now, the KEYone ‘Black Edition’ has arrived, and it’s more than just a fresh coat of paint on an older gadget. In fact, the ‘Black Edition’ doubles the internal storage of the KEYone, from 32GB up to 64GB (and it retains its expandable memory capability via microSD) – plus, it boosts RAM up to 4GB, which is a very welcome change from the 3GB on the original, if only because the one complaint I had about the original KEYone was that it could feel a bit pokey in places in terms of the speed of elements of the OS and some aspects of a few applications. The ‘Black Edition’ feels speedier in all regards, after a few days of testing, and still retains all the charm of the original. The all-black design feels a bit less retro, but on the whole is probably a more appealing look for a larger segment of the population vs. the dual-tone silver and black of the original. And the phone benefits from months of production of the KEYone by TCL, which should mean it’s got less in the way of manufacturing quirks. Basically, this is the current best BlackBerry you can buy, and it’s actually up there in terms of the top Android device options – for a certain type of buyer. That is, if you value the physical keyboard, and the convenience that comes with having a whole lot of hardware shortcuts for apps and actions at your fingertips, and you’re not as concerned about having a large, generous display for watching videos or other content, this is probably right up your alley. The ‘Black Edition’ KEYone also has that assignable dedicated hardware button on the side, which is far more useful than the Note 8’s Bixby button, and the keyboard doubles as a trackpad for scrolling and other features which keep the display free of obfuscation while browsing Twitter and reading documents. BlackBerry’s ‘Black Edition’ KEYone went on sale this week in Canada at Amazon, Telus and Walmart for $799.99 off contract.